Firstly, I must apologise for our absence. We have as ever been active over on our Facebook and Instagram pages, but Hooman started a new job a couple of months ago, managing others for the first time, and as you can imagine, it has been all consuming! 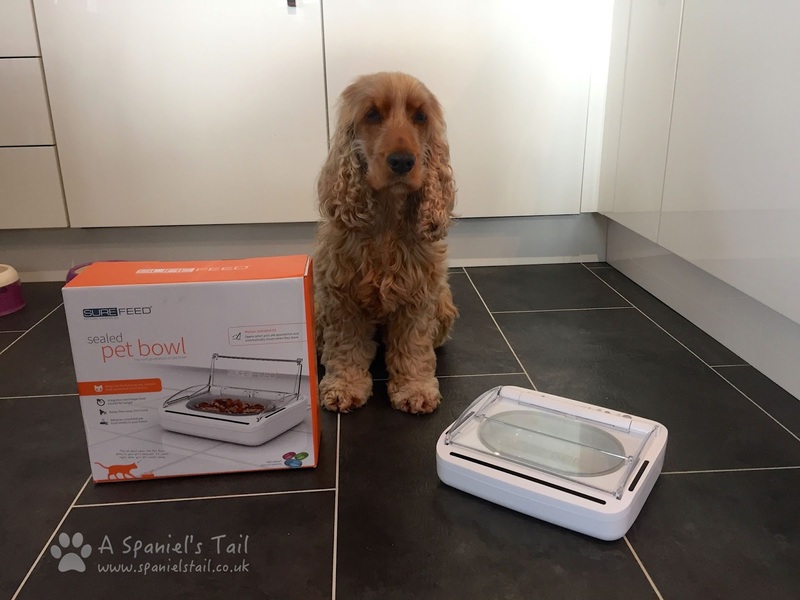 Onto our review - Hooman is always excited when we get offered something new and innovative to review (although we appreciate all who consider us, there is only so many ways of trying a new food out on me without changing my diet completely! ), and this was surely innovative. 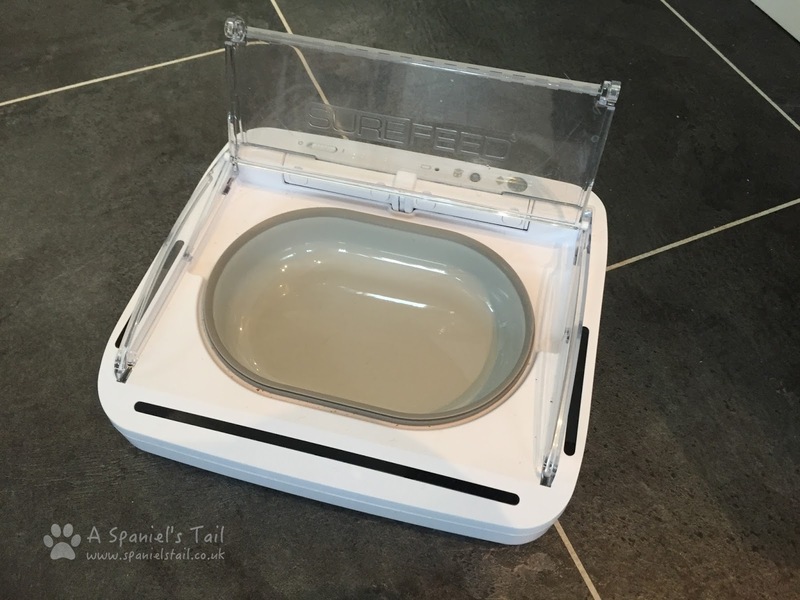 The product sent for us to review was from a company called SureFlap, who design and sell a range of pet bowls, that use a variety of technologies to keep food fresh and safe. The bowl we were sent was the SureFeed Sealed Pet Bowl (Hooman did forewarn them that I am a gannet spangle, who eats her dinner in about 30 seconds flat, but hopefully we can demonstrate it properly for you!). 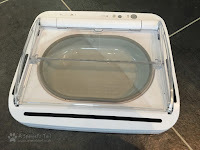 The SureFeed bowl has a motion activated clear plastic flap, that is, well, motion activated! Unlike some of their other products, this is only reliant on motion, so doesn't need any collar or microchip activation to work. If you don't have a snaffling spangle like me, this means that any food that is left will remain fresher, wet food won't dry out so quickly, flies will be kept off, and food smells will be kept to a minimum. I can see this particularly being useful for dog and cat picky eaters, who don't inhale their food. Sure! This is a video Hooman took with just a little kibble for illustration (which of course I finished, hehe). 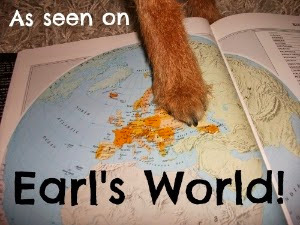 For a dog like me that eats everything instantly, there is probably not too much benefit. However, for picker dogs and cats, especially those on wet food (and I fell into this category as a pup - I NEVER used to eat my whole meal at once! ), this could be particularly useful, particularly in the summer. Most pet owners will know how horrible wet food can get when left out! It is a very clever bit of technology - it is a little pricey at around £49.99, but the geeky among you, is quite a nifty bit of kit. The only thing I would be aware of is that it takes 4 of those big batteries, which were about £8 in our Ocado delivery. That said, we have had it down on the kitchen floor for over a month, with it reacting every time Hooman walks past, and it is still going strong, so I think the battery layout does actually last quite a long time. According to SureFlap's website, the batteries should last a full six months. 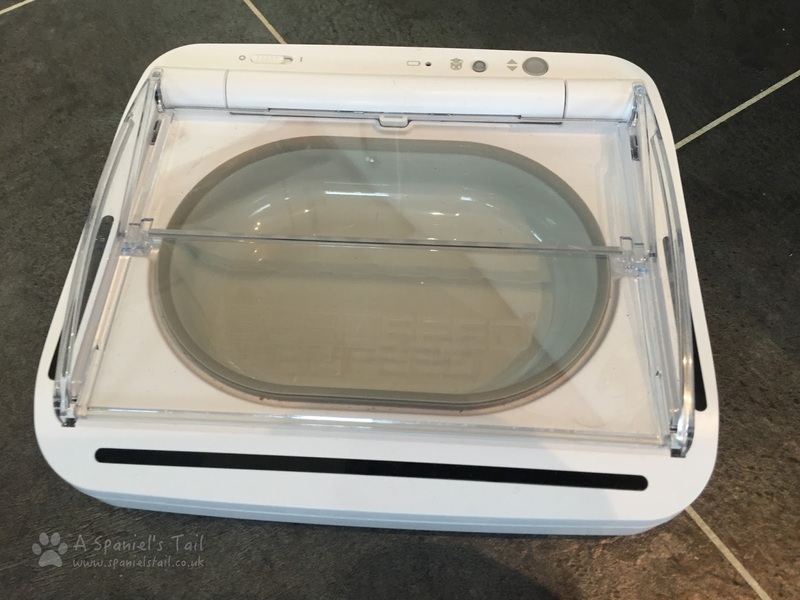 You can buy it directly from the SureFlap website by clicking here. 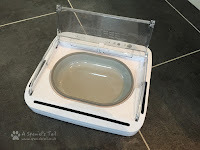 Have a browse of their other products too - there is a similar bowl that is activated by just one pet's microchip - great if you have a multi-pet household, and someone is always snaffling all the food!! This product was sent to us for review.